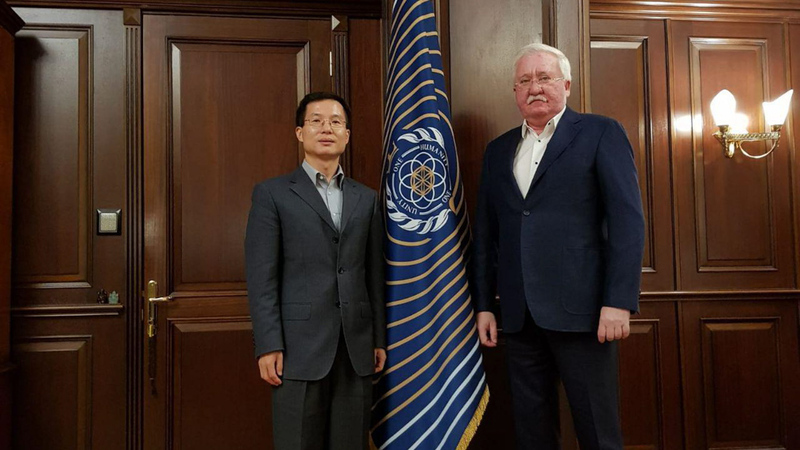 Head of Nation Igor Ashurbeyli yesterday met Asgardia’s Supreme Justice Yun Zhao in his office in Moscow. Their discussion focused on the most pressing legal issues including formal completion of elected parliamentarian verification and the formation of Asgardia’s legal system. Mr. Zhao, law department head at the University of Hong Kong, was appointed as Asgardia’s Supreme Justice on 24 June 2018 (07 Asgard 0002) during the first parliamentary session in Vienna, where he was introduced to the elected Members of Parliament. The Supreme Justice will ensure the seamless operation of Asgardia's legal system, such as constitutionality and the resolution of disputes that arise from Asgardian laws. Mr. Zhao will also oversee the nomination of other Asgardian judges in the near future. In the Asgardian legal system, there are four judiciary panels for constitutional, civil, administrative and criminal proceedings, respectively. Dr. Igor Ashurbeyli and Mr. Zhao also considered the plans for 2019.